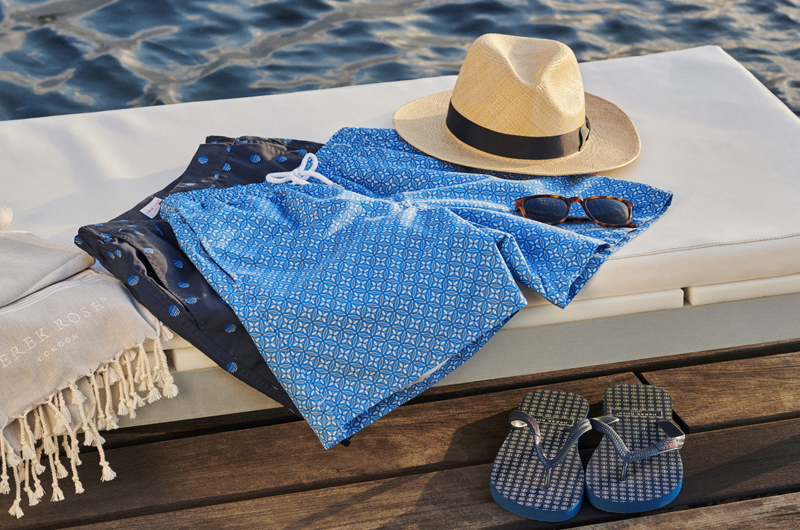 Alluding to the classic nautical theme, the Nelson 48 is a perfect pajama whether or not you're wearing it below decks. Designed in-house in our London studio, the print is exclusive to Derek Rose SS15. The fabric of this garment is a soft, lightweight batiste cotton specially chosen to be comfortable on warmer nights or in warm homes. 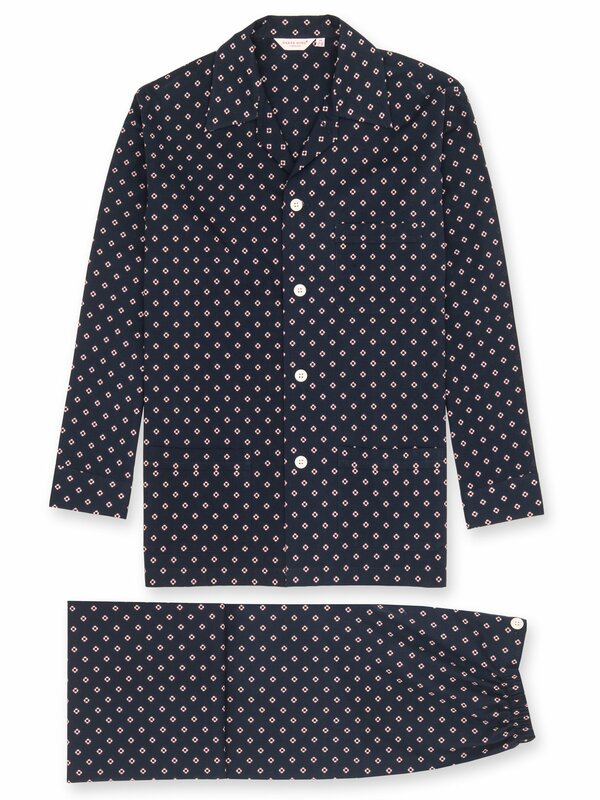 Like all our classic pajamas, the Nelson features a three-pocket jacket and adjustable elasticated waistband. Made to a design first developed by Mr Derek Rose, the classic pajama has been refined over decades for optimum comfort.